Gone from this list as a result of the “purge” of recurrent favorites (books that have been among the Top Ten Favorites for at least five years) are Helon Habila’s Waiting for an Angel (from Nigeria, 2004), Jo Nesbo’s The Redeemer (Norway, 2011), Alan Duff’s Once Were Warriors (New Zealand, originally published in 1995), and Kamila Shamsie’s Kartography (Pakistan, 2004), all of which would have been in the Top Ten. Here is the new list of Favorites so far this year, and it has some surprises over last year’s list. Only three books on this list have ever been on the Top Ten at all until this year! Most are exciting recent books getting some great reviews, but some are older books getting some publicity and achieving popular success at last. Link to review provided with each listing. 1. 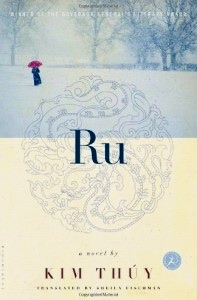 Ru by Kim Thuy (set in Vietnam and Canada, released in 2012). This book appeared in the Favorites list for the first time just last year, five years after its publication, and it has now become established as one of the great stories of immigration, beautifully told. (#2 on last year’s Favorites list). 2. The Thirst by Jo Nesbo, the eleventh novel in the Harry Hole series of thrillers (Norway, released in May, 2017). Though the book was not released in the US until May, 2017, it managed to make the Favorites list in third place in December, so great is Nesbo’s popularity. In the past six months it has moved up another notch. 3. Shifu, You’d Do Anything for a Laugh by Nobel Prize winner Mo Yan (China, released in November, 2012, appearing on the Favorites list for the first time this year). Seven short stories and one novella create a sometimes mystical or mysterious mood, often akin to horror, and guaranteed to make readers take notice, even as they may be lulled by the “folksy” and confidential attitude of several speakers from Mainland China. 4. 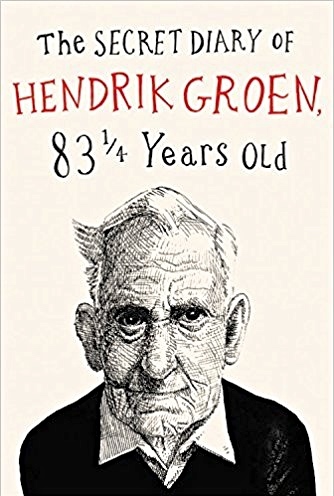 The Secret Diary of Hendrik Groen, 83 ¼ Years Old, a novel written under a pen name purportedly by a man living in an assisted living facility (Netherlands, released in the US in July, 2017.) Thoughtful and often ironically funny, this book discusses real issues, from the clique-ishness of the population to the difficulties of finding time and space to be alone, and the problems of living, full-time, with people who may have nothing in common with you except age. One of my own big favorites, new to the list! 5. The Golden Age by Joan London (Australia, published in the US in 2016, and new to the Favorites list). Winner of four major literary awards in Australia, the novel is set in a rehab facility for children suffering the paralyzing aftereffects of polio in the sparsely settled outskirts of Perth, Australia, which, during the early 1950s, had a disproportionately large percentage of child polio victims. 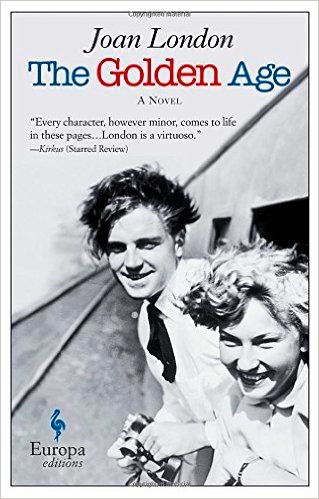 Filled with realistic, straightforward details and a complete lack of easy sentimentality, the novel describes life during the days before the Salk vaccine. 6. The Artificial Silk Girl by Irmgard Keun (Germany, released in the US in translation in 2011, and appearing on the Favorites list for the first time last year). Originally published in Germany in 1932, when author Irmgard Keun was only twenty-two, The Artificial Silk Girl, a bestselling novel of its day, is said to be for pre-Nazi Germany what Anita Loos’s Gentlemen Prefer Blondes (1925) is for Jazz Age America. 7. The Lieutenant by Kate Grenville (Australia, published in the US in January, 2011). Basing this fine novel about the settlement of Australia’s New South Wales on the real life and notebooks made by Lt. Wi lliam Dawes from 1788 – 1790, author Kate Grenville subjects the empire-building attitudes of the Crown and its representatives to careful scrutiny and creates a novel filled with conflicts and well-developed themes. New to the Favorites list. 8. 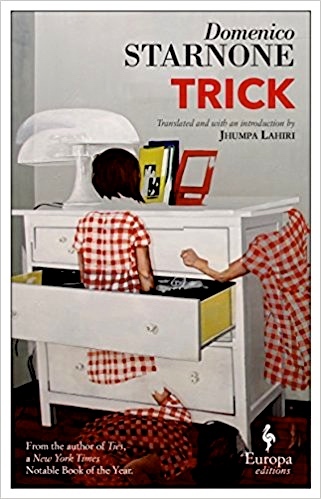 Trick by Domenico Starnone (Italy, Neapolitan Noir, released March 6, 2018). 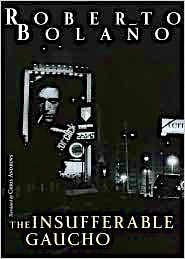 Already on the Favorites List though it has been out only three months, the novel features Daniele Mallarico, a man in his seventies, who is on his way from Milan to Naples, where he has agreed to care for his four-year-old grandson Mario for three days. Here the author uses irony and dark humor for his primary dramatic effects, contrasting the age and thinking of the elderly grandfather and his precocious grandson as he raises questions about how we become who we are, and what, if anything, we can do about it. 10. (Tie) Brick Lane by Monica Ali (Bangladesh, released 2004). Nazneen, a bride married at sixteen to a 40-year-old man, is wrenched from the only life she has ever known in the countryside of Bangladesh and conveyed to England, where her new husband, Chanu, has a job. Ali recreates Nazneen’s life in all its mundane details, showing her acceptance of a new culture through tiny, seemingly insignificant decisions. The gradual evolution of a new Nazneen is neither simple nor without conflict, and no member of the family escapes her transformation. New to the Favorites list. 10. 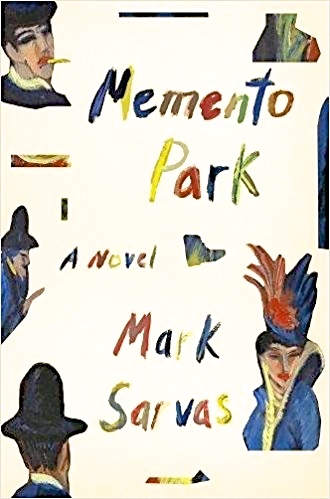 (Tie) Memento Park by Mark Sarvas (Hungary, US, released in March, 2018). On the night before an auction of world-class paintings, thirty-something Matt Santos gets permission to spend the night at the auction house “saying goodbye” to a 1925 painting by Hungarian artist Ervin Kalman. Although Matt is considered the owner of the painting, he has, in fact, just recently learned about his connection to the painting as part of the on-going repatriation efforts made for paintings stolen by the Nazis. As Matt traces the painting, he learns much about himself and his family, leading to a grand conclusion and belated coming of age. Already on the Favorites list after being on sale for only three months, unusual for literary fiction! Hope you have fun perusing some of these books and that you find some offerings that appeal to you during your summer vacation!